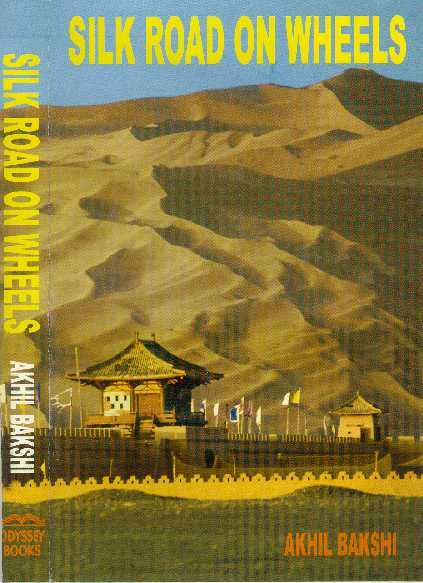 'Silk Road on Wheels' is a travelogue - a witty account of a remarkable journey undertaken by the author, together with scholars from India, China and Europe, along the Old Silk Route. The author, Akhil Bakshi, led the expedition that drove across Uzbekistan, Kazakhastan, Chinese Turkestan and Tibet. In the author's own words, "It is a yarn that spins along, narrating anecdotes and incidents we encountered in the bazaars of Uzbekistan, in the steppes of Kazakhastan, in the snowy frontiers of Kirghizstan, in the deserts of Chinese Turkestan, and in mountainous Tibet". The book is a humorous, yet keenly perceptive, narrative of everyday life in this area and about its people - a land where people in small towns are addicted to the newly introduced game of pool - they play on the streets, go clubbing at night - and monasteries where monks can learn to fly! Guiding the author through this remote area were four famous men: Timurlane, Chingiz Khan, Huen Tsang and Milarepa - "all resurrected by a sympathetic spirit. They provide the satiric edge and, through them, we catch the spirit of their times. These flights of fantasy are pegged to definitive historical works: for instance Timur's own insightful account of his Indian expedition". 'Silk Road on Wheels' offers fun, adventure and also social and political insights revealing twenty centuries of the Silk Road. The book is richly illustrated with photographs that narrate a visual epic.